I hope you had a great Fall Break! It’s always nice to have some time to unwind and relax! Thanks to those who came to Dads and Doughnuts! It was great to see so many of you early in the morning, and it’s a great way to kick-off our Book Fair! Book Fair: This will take place from Monday, October 24-Thursday, October 27th, also during SEP Conferences. There is a great selection of books, including picture books to cook books; There is something for everyone! Thanks to Cristina Medina for her heading this up! Brockbank Book Fair Kicks Off With Dads and Donuts! Brockbank Elementary held their annual "Dads and Donuts" on Wednesday, October 19. The students, along with their dads, moms, grandparents, or other special family members came and were able to browse for books through the book fair and then enjoy a donut in the cafeteria. Brockbank students and faculty would like to thank the PTA for sponsoring this fun morning. The book fair will run the following week Oct. 24- 27 before school, during lunch, and after school and all evening Thursday night during SEP conferences. The book fair will close Thursday evening. Read more about Brockbank Book Fair Kicks Off With Dads and Donuts! Recently kindergarten students at Brockbank Elementary spent the day at Cornbelly's Corn Maze at Thanksgiving Point. They enjoyed all the activities learning about farming and agriculture. The kindergartners enjoyed bouncing on the jumping pillows, the "big" rocking chair, and riding on the hay wagon. It was a fun day! Brockbank kindergarten students and their teachers really appreciate the Herbst family for allowing them to come and enjoy the day! We look forward to our Dads and Doughnuts this Wednesday and also our Fall Break! I hope you have something special planned! Chick-fil-A Night: We hope you can make it to our Chick-fil-A Family night tonight from 5:00-8:00! We made about $300.00 from our last family night! Thanks for participating and helping our school with reading supplies! Picture Make-up Day: This will be tomorrow, Tuesday, October 18th. Brockbank Book Fair is Coming! Brockbank is excited about our upcoming Book Fair which will kick off this Wednesday, October 19 with our annual Dads and Donuts! Make sure to bring your dad, mom, grandpa, grandma or any special family member on Wednesday morning from 7:30-8:30 AM to browse through the book fair and enjoy a donut. The book fair will run the following week October 24-27 before school, during lunch, and after school and all evening Thursday night during SEP conferences. The book fair will close Thursday evening. Read more about Brockbank Book Fair is Coming! Brockbank Students Show Their School Spirit! Brockbank students show their school spirit by wearing their school t-shirts or the school colors (maroon or navy blue) every Friday. The PTA is holding competitions throughout the month and the class that has the most "spirit" gets the traveling trophy in their class for the month. September's winners were Mrs. Caitlin Dawe's second grade class. Second place was Miss Stephanie Benson's second grade class with Mrs. EmmaLee Stewart's first grade coming in third. 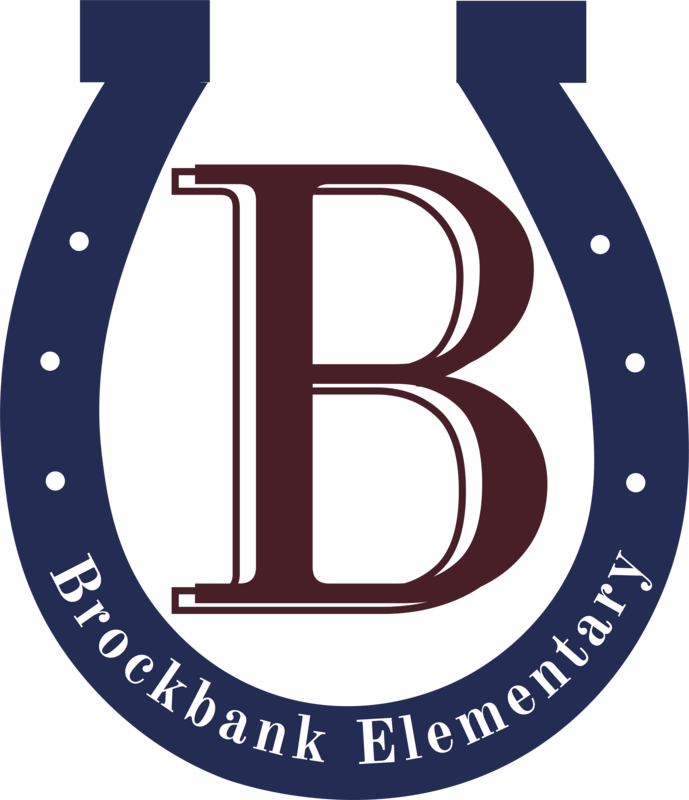 The PTA wants students to be proud to be Brockbank Broncos! Read more about Brockbank Students Show Their School Spirit! Help support Brockbank in our second family night at Chick-Fil-A. Our first night was a success thanks to our wonderful Brockbank families and friends! Brockbank Fifth Grade Students Enjoy D.A.R.E. Brockbank fifth-grade students as part of their D.A.R.E. program taught by Officer Bryan DeWitt have been learning several lessons about drugs and ways to avoid the many influences in their lives that might lead them down dangerous paths. One of the fun activities fifth-graders got to do was to see Officer DeWitt's patrol car and see all the equipment that he uses to do his job. He showed them how some of it works and how he uses it in his job. Students have really learned a lot this year and are looking forward to graduating from D.A.R.E. Read more about Brockbank Fifth Grade Students Enjoy D.A.R.E. Brockbank is happy to announce the Bronco Best Award Winners for September! Picture #1 Back; Principal Larraine Nelson, Lindsey Orton, Taylee Ackerman, Noemy Garcia, Kynslie Farr, and Rio Ochoa. Front; Phillip Ivie, Andrew Hult, Ava Thorpe, Olivia Roberts, and Caleb Grant. Absent from photo was Sandra Swaidan. Picture #2 Back; Elizabeth Sanford, Mylee Allphin, Honey Cortez, Kalub Paige, Duke Landers, and Principal Larraine Nelson. Front; Graham Blair, Kadence Palmer, Caleb Hermansen, Kyler Olson, and Alexis Blackett.